Wrinkles are something I dread. I think we all do, because there is nothing better than having smooth, supple, beautiful looking skin. Nothing ages you faster than wrinkles. The problem is, many of those wrinkles are caused by sleep. And we all know how important getting enough sleep is to looking our best. So the question becomes, how can we get all the benefits of sleep, without all the wrinkles? Sleep wrinkles are not actually caused by sleeping, but by pressing your face against a pillow for a prolonged period of time. Because most people sleep on their side or on their stomach, their face comes in contact with a pillow in a predictable pattern night after night. Where the skin is held to the bone, wrinkles appear as it gets repeatedly stretched and pulled. 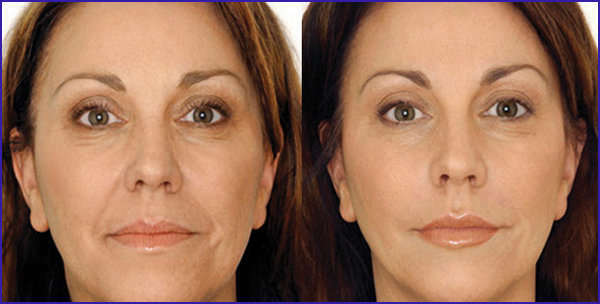 While younger, more elastic skin is able to simply bounce back in the morning, after years, all this stress builds up and wrinkles begin to show, as older skin gradually loses its elasticity. Unfortunately, these wrinkles have nothing to do with your facial expressions, or the muscles in your face, so treatments like Botox are completely ineffective. Likewise, although skin creams and fillers can help to mitigate their appearance for a while, they cannot actually make sleep wrinkles disappear, or stop them from getting worse, because they don’t address the cause of the problem. Silk or satin pillowcases are also often said to be better because they create less friction between your face and the pillow, but they don’t really stop the facial compressing. They might help a little bit, but once again, are not a real long-term solution. The only way to really cure sleep wrinkles, and to stop them from ever becoming a problem, is to start sleeping on your back. Of course, how you sleep is something that is very personal, and very difficult to change, but it’s worth putting in the effort. And the sooner you start the better. Many people are able to change the way they sleep, it just requires some time, patience, and perseverance. People who experience back problems frequently have to make the change to sleeping on their backs, so it can be done with a few good tricks. Pillows – good pillows are crucial to getting comfortable while sleeping on your back. Put one under your knees to properly align your spine, one on either side of you under your arms to prevent you from rolling, and make sure the one under your head is not too high. Firm Mattress – a good, firm mattress is absolutely crucial for giving your back the support it needs. If yours is too soft, you can always get a mattress topper to help firm it up. Persistence – you may not be able to sleep on your back at all at first, but if you keep trying you will eventually succeed. People with back problems or who are pregnant are sometimes forced to make the transition, so it is possible. You just have to keep trying. And when you succeed, you can say goodbye to sleep wrinkles forever. Don't miss: How to Look 10 Years Younger in Only 10 minutes!